I read books 1 and 2 of this series a couple of months ago, but took a break after book 2 because the plot was kind of a mess and I needed a break before continuing on. Well, I've been in a reading slump lately and the book that came to mind when I decided it was time to pull myself out of it was this one. Seduction. I was finally ready to find out what comes next for Willa and her Abcurse brothers. And you know, I'm happy I picked it up! First, foremost, and most importantly, it was very easy to get into this book. I needed something that hooked me quick and this third installment did just that. The story gets rolling pretty much right away. Secondly, this was a quick read--I read it in just over a day. Exactly what I needed! And enjoyable too. The characters are still who they were in the previous books, of course, and I still liked them. I especially liked that the Abcurse brothers are becoming more defined and instead of me getting them mixed up all the time, I can follow who they are and how they act/react. I also loved how Willa's powers so naturally fit with HER. She's a clumsy mess, so of course her powers would be random and chaotic just like her. It added a layer of humor to the book. As for the actual plot. Well. It's still a mess. I've kind of decided to stop trying to figure it out or expect anything, and now I'm just along for the ride. However. The storyline feels so contrived. Like, the RH aspect flows so easily, but then whenever anything plot-related happens it feels forced. Which means that I didn't quite enjoy the parts minus the guys as much as I'd have liked. Luckily, there was a fair amount of them in the novel as a whole so I enjoyed it. 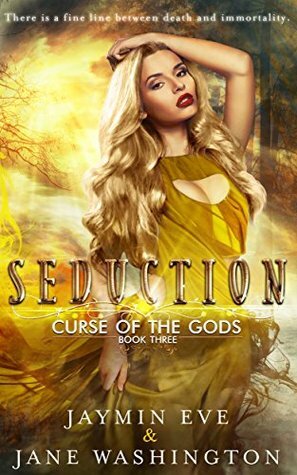 Overall, Seduction is a great addition to the Curse of the Gods series! Awesome characters, top notch relationship progression, and heaps of good humor make this such a fun read. I'll definitely be continuing to book 4! 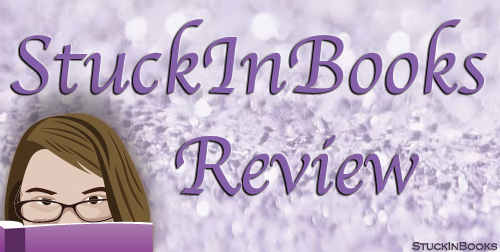 3.5 stars - Such a fun read!